In the wake of the college admissions scandal that has ensnared a slew of wealthy parents, college coaches and others in the world of academia, USC has placed a hold on the accounts of students allegedly connected to the scheme. "Following the review, we will take the proper action related to their status, up to revoking admission or expulsion," USC said. Last week, the university said it had already worked to identify new applicants connected to the alleged scheme and that they would be denied admission. Additionally, Senior Associate Athletic Director Donna Heinel and men's and women's water polo coach Jovan Vavic were fired last week after they were indicted for accepting bribes to falsely designate students as athletic recruits. 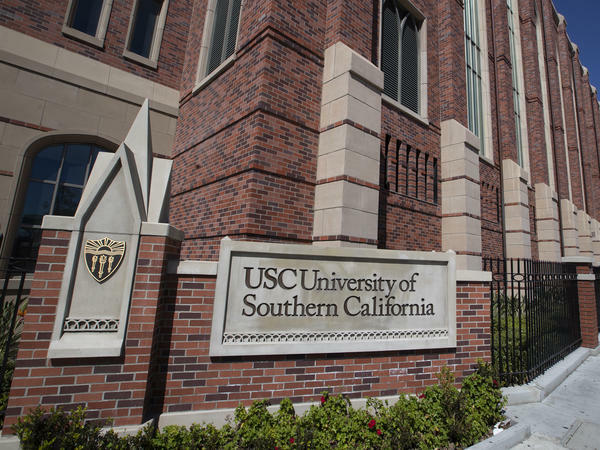 The move by USC follows similar statements by Yale University President Peter Salovey on Friday as officials there scramble to restore public trust in the admissions process after a former women's soccer coach was linked to the scandal. In a letter to students, Salovey said the school's policy "is to rescind the admission of students who falsified their Yale College applications." He added that the school has retained external advisers to assist in a probe into whether "others have been involved in activities that corrupted the athletic recruitment and admissions process." Federal prosecutors have accused 50 wealthy parents, coaches and test proctors, among others, of conspiring with William Rick Singer, a college admissions consultant, of committing bribery and fraud to get students into some of the nation's most prestigious schools. According to the Justice Department, parents often paid Singer between $250,000 and $400,000 — although some allegedly spent up to $6.5 million — to help their children cheat on standardized tests, create fake athletic profiles and bribe officials, in order to boost their chances of admittance. Court papers revealed the parents were charged with conspiracy to commit mail fraud and honest-services mail fraud. They included mothers and fathers from the most privileged spheres of society, including CEOs of private companies, securities and real estate investors, the co-chairman of a global law firm, a fashion designer and two well-known actresses. Prosecutors said USC, Yale, Georgetown University, University of California, Los Angeles, University of San Diego, University of Texas, Austin, Wake Forest University and Stanford University were targeted as part of the "student-athlete scam," though not all did admit students involved in the fraud plot. Stanford's sailing program received $770,000 from Singer's foundation and the head coach pleaded guilty on March 12 to charges "that he accepted financial contributions" for agreeing to recommend two prospective students, according to the university. However, neither student completed the application process, and neither was admitted. But a third student, not named in the indictment but subsequently linked to Singer and the contributions, has been identified as a current student, officials told NPR in an email. "We are working to determine the specific circumstances around this student," a spokesman wrote, adding that the financial contribution to Stanford from Singer's foundation "was made several months after the student's admission."